Yesterday, I gave a talk at the Public Sector Show. 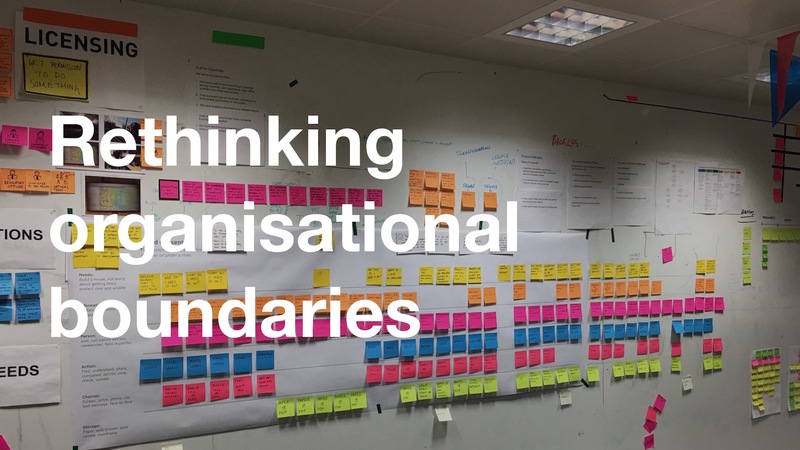 It re-visits some of the things I spoke about recently, but ties them together with some new thoughts about the future of GDS and the role we play within government. Here’s what I said. Today I’m going to spell out what GDS is for. 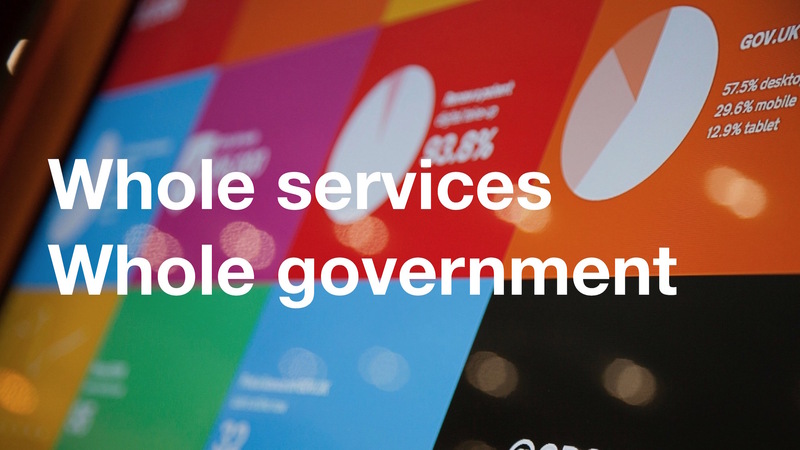 The role of GDS is transformation, but we believe very strongly that transforming government services means transforming government itself. And that, as all of us across government have been learning over the last few years, goes much deeper than upgrading our technology and redesigning our websites. During that time, GDS has been thinking very hard about services and how they work. We’ve been trying to understand services as users see them - as whole services, from one end to another. Users don’t care about the structure of government. They don’t care which department does this or agency does that. They don’t care about your process. They just want to do what they need to do, get stuff done, and get on with their lives. Users have needs - our job in government is to build services that meet those needs. So government has to think of itself in a different way. We have to think about ourselves as a single entity, as one whole government. We need to have a cross-government perspective on everything we do. GDS exists to help tie all that together. GDS doesn’t claim to know every department’s users or their user needs, but we do claim to be experts in one thing: digital. Our job is to help everyone in government do the right things, in the right ways, to the right standards. For example: think about how benefits are divided between DWP and HMRC. Or how offenders and other people dealing with the criminal justice system have to be in touch with the police and the courts, prisons and probation staff. Or how complicated it is to start a business, because you have to get in touch with BIS, HMRC and Companies House, at least. Some other agencies too, depending on the nature of your business. All these are examples of some of the great challenges facing government right now. Not just challenges, though: opportunities. Transforming the relationship between citizen and state. This is what the Minister for the Cabinet Office said earlier this year. He was talking about the ultimate goal: making it really easy to deal with government, safely and securely. To be blunt, it means widespread, substantial change across government. The most fundamental thing that needs to change is us, is the way we work. How we assemble services to meet user needs. How we put user needs first, not government needs. In practice, that means moving from government inherited from the industrial age, towards government intentionally designed for the digital age. I spoke about this at an event last month, where I described my vision for what government would look like in the year 2030. In 15 years or so, by the time we get to 2030, I expect government to look, behave and feel very different. By then we will have fixed the basics. “Digital” won’t be a thing any more, because everything will be digital; by default. The work we’ve started in the last year to establish the digital profession in government will have matured, and we’ll have a diverse, digitally skilled workforce which reflects the diversity of the people it exists to serve. More changes: By 2030, policy making will be service design. Ideas and implementation will be so closely tied, you won’t be able to have one without the other. Thinking in code, iterating in public - these will be the norm. The way that the law is made will have changed, and so our approach to public consultation will be massively changed: it will be faster, smaller, conducted more frequently. We will be working in a cycle, not a sequence. The old-style, top-down, predictive policy making model that identifies the “big idea” and doesn’t consider service delivery as the best source of evidence on what works and what doesn’t, just isn’t going to cut it. Platform thinking will be everywhere. Every time a government team makes something that should be shared, it will be shared. And shared in the right way, so that it’s easy to use - again, thanks to standards we’re setting now. In 10 or 15 years from now, we’ll be reaping the benefits of the work we’ve begun to make better use of data in government. Data will be easier to find, access and use, which means we’ll have clearer insight into what works and what doesn’t. We’ll reach that insight faster than ever before, because the data won’t all be locked away. Where sharing can be done securely and appropriately, sharing will be easier, so that government can work more efficiently. 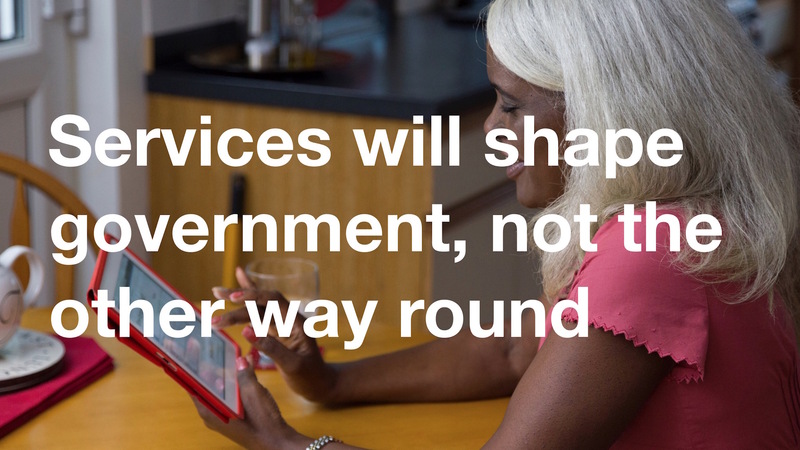 The upshot will be services that shape government, not the other way round. Because we’re putting users first, and because we’re working in an agile way, and because we’re making data easier to use, government itself will have to change. There will be more small, multidisciplinary teams working in short sprints, moving products and projects from discovery to alpha to beta to live. There will be more flexibility and agility, and less risk. Sometimes things won’t work out - not everything does. We’re human, just like everyone else. But when that happens, we’ll learn and iterate and adapt. So we’re not here just to fix the websites. It’s not about making existing things just a little bit better: it’s about completely rethinking what we do, and how we do it. From top-to-bottom, from end-to-end. From the moment the user has a need, to the moment that need has been met. And the “we” I’m talking about here is all of us in government. It’s a collaborative joint effort, because no single department or team has the knowledge and experience and expertise to do it alone. In GDS, we’ve come to that understanding thanks to about five years of intense effort and learning. Our thinking has changed over that time, just as our role and our approach have changed. This diagram is my attempt to explain that a bit. Think about the things that services are made from, and how visible they are to the public. The vertical axis represents visibility. The higher up something is, the more visible it is. GOV.UK is very visible. It’s up the top there. It’s the digital embodiment of government on the web, so of course it’s very visible. GOV.UK Verify is slightly less so, but still near the top. And something like Government PaaS, our hosting platform, is at the bottom. Still an essential component, but pretty much invisible to the public. Over time, our work expanded to cover more things. (For example, data - I’m not showing here how central it is, how it flows in and out of services, how they depend upon it.) We could show 100 more boxes on this diagram, but let’s keep it simple. These boxes represent all sorts of things - making technology governance simpler, or making procurement easier, or making data easier to find and access and use. When GDS began, our work was mostly focussed at the top, at public-facing transactional services. Part of that was about making the point that transformation was possible. 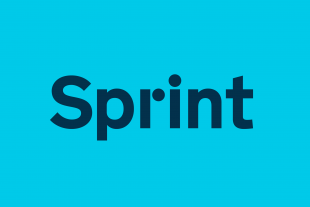 That putting users first meant better services; that being agile was something that could work in government. And that government departments needed to hire people, or train people, with digital skills. And making those points through real, demonstrable change. And things have changed now. Departments are putting users first, they are being agile, they are hiring and training people in digital skills. And our focus has become more collaborative. We want to work with those empowered people. We want to help them. We’ve started looking at the entire picture, not just bits of it in isolation. So today, it looks more like this. We’re thinking about what connects all these separate things together. Those connections are just as important as the things themselves. Our role, in GDS, is guiding, advising, demonstrating, consulting. We’re here to help government work like this, so that it can transform itself, and so that it can transform its relationship with citizens. Brilliant, isn’t it? And so, so true. 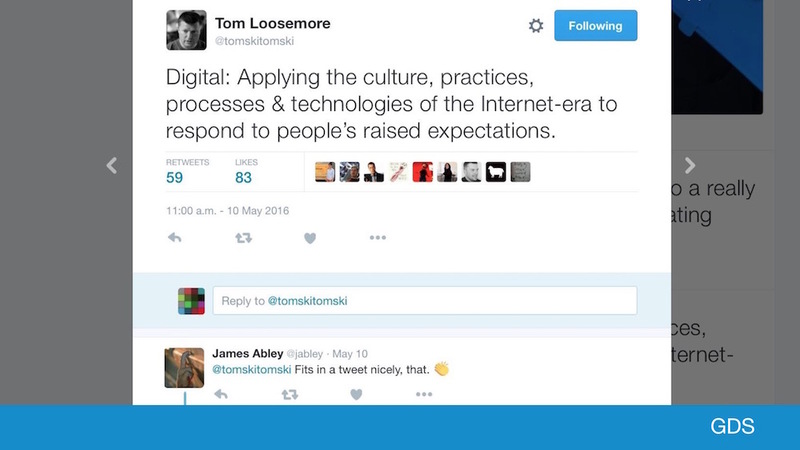 Of course technology is part of it, but that’s not how we define digital. This is how we define digital. Thank you Tom. The world around us is digital, whether we like it or not. Government must learn how to be digital too. 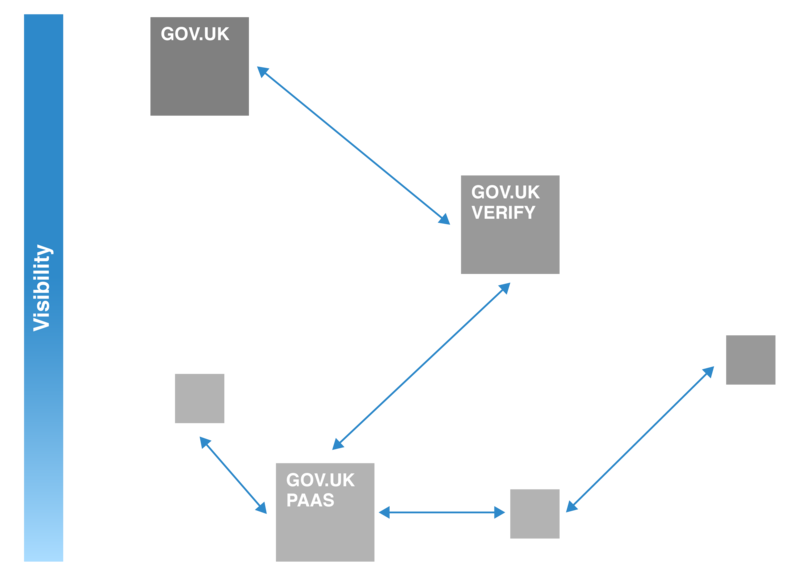 GDS exists to make it easy for government to do that. To apply the culture, practices, processes and technologies of digital era. To understand what they are, how they work, and how to put them to use to meet user needs. Because only by meeting those user needs will we be able to respond to people’s raised expectations and change how they feel about government. What that means in practice is a mixture of things - sometimes it’s about GDS delivering products, platforms and services. Sometimes it means us working with other teams to help them do the delivery. Delivering: Among many other things, we’ve delivered GOV.UK Notify, an easy way for service teams to keep their users up-to-date. Something that used to be complicated, difficult, time consuming and costly is now quick, easy, simple and cheap. And because Notify has been built in a particular way, it’s open to everyone in government. No need for every department to re-imagine it, or re-build it, or re-procure it. Enabling and guiding: We worked closely with a team at the Foreign and Commonwealth Office when they built the first data register for government, the Country Register. There used to be dozens of different sources of information about countries on GOV.UK, none of them aligned with any of the others. Now there’s just one. It’s a digital service that lives entirely on the internet. It’s data that’s easy to find, access and use. There will be more registers to come. Directing: And sometimes we have to say how things should be done, and put a stop to things that are being done in the wrong way. Standards are there for a reason: to maintain quality. Sometimes that means we have to make unpopular decisions. Sometimes, the controls process puts a stop to things, even when people have done a lot of work to get them started. In 2014/15, government saved £391 million, as a direct result of spend controls. That’s why it matters. It’s still true! We still mean it. Big IT is a bad idea for government, for the public sector. There are better ways. When I say “Big IT”, I'm referring to a culture of technology outsourcing that took strategy and control with it. Of solutions that didn't focus on user needs, but often on government needs and (sometimes) supplier needs ahead of the needs of users. Of arrangements that didn't always result in the best partnerships for government, and that made responding to change much harder than it needed to be. Now of course, large IT companies can and must still be suppliers - we won’t solve some of our most daunting challenges without them - but it must be on the same level playing field as their smaller, more agile peers and always focussed on meeting user needs. There’s no going back on this. No backsliding. We’re not going to allow the old style big IT culture to slide its way back in, nor are we going to allow new big IT ideas to creep in, pretending to be agile and user centered when they’re not. And I say that stridently because I have a mandate and a responsibility to say that. 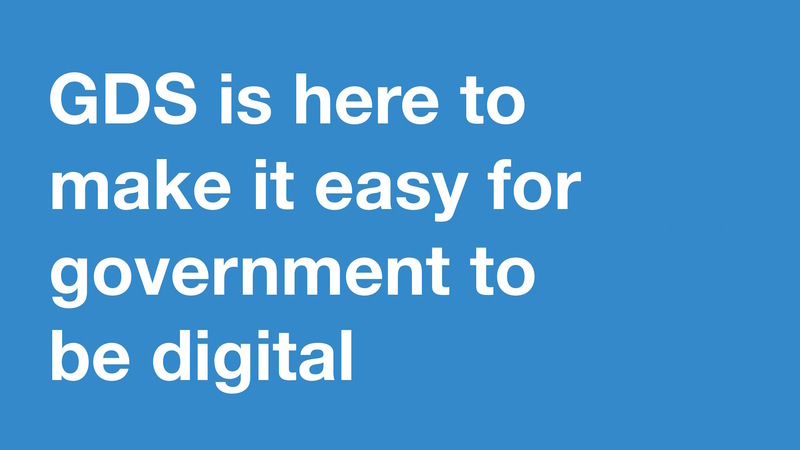 From the beginning, GDS has had a mandate to uphold standards for digital services, and we shall continue to do that. We are allowed to direct things. We are allowed to say that some things should be stopped when they’re not being done the right way. That’s part of why we’re here. It’s part of my job, and my team’s job. “But wait a minute Steve,” I hear you say. It hasn’t gone anywhere. Transforming government together is still at the heart of our work. One of the biggest changes we’ve seen over the last 5 years is empowering people to do the right thing. Five years ago, digital wasn’t a thing in government. There were people all over government who had the right skills and the right expertise, but they didn’t have the mandate. They didn’t have us to back them up. Right now, there are teams all over government trying to work digitally, and our job is to help support, connect and guide them. We’ve got their backs because they look to us for that support. They need us to do the right thing, not the easy thing, when it comes to standards and controls. Because that empowers them to do the right thing. They need us to help convene, coordinate, guide. To reflect back to the community what good looks like, so that everyone can recognise it when they see it. So, our support takes many forms. A cross-government perspective - because we’re at the centre, we have a unique cross-government perspective. That’s essential for making sure all the digital work across departments is properly lined up. A digital profession - we’ve established the digital, data and technology profession, to make it easier for government to understand the skills it needs to hire in, and the in-house skills it needs to develop and grow. Breadth and depth of expertise - we have an award-winning team of digital experts, who came here because they want to work on stuff that matters. A thriving digital culture - we’ve made room for culture to grow by itself, and culture is a vital part of transformation too. It’s just as much about how people work, and the environment they work within, as it is about the actual work itself. Funding and capability to deliver shared components and services - we now have the people, the skills and the budget to deliver shared components and services and products that can be put to use across government. Things like GOV.UK Verify, and GOV.UK Pay, and many many more that will follow in the years ahead. That doesn’t mean we will make them all, of course. Other teams, in other departments, will make shared components too. 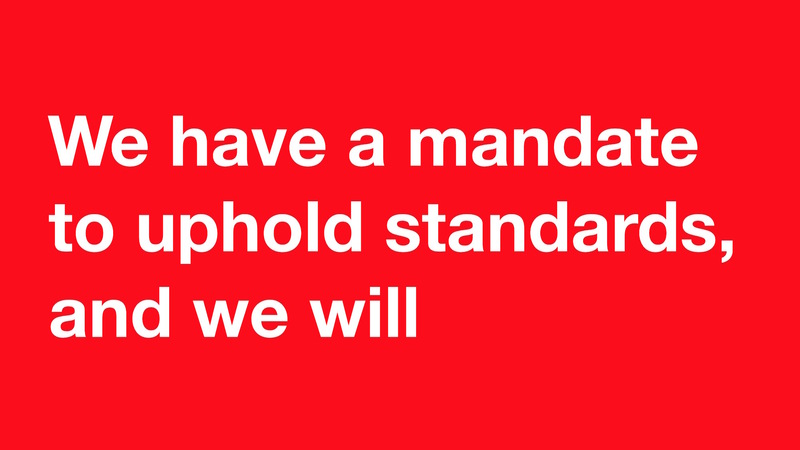 A mandate to set and enforce standards - everything will be built to the same high standards, set and enforced by GDS. Without standards, digital transformation would be a mess of conflicting ideas and approaches. Without standards, it would all fall apart. That’s what we’re for. That’s why we’re here. It’s not about doing what’s easy, it’s about doing what’s right. We want to make it easy for colleagues across government to do what’s right. You also said some interesting things about the links between digital, service design and policy - but they aren't included here. Maybe you've blogged about this elsewhere - can you post a link? I have a clarification point and an observation I'd like your views on. Clarification: By whole of Government do you mean whole of Central Government or all Government Departments, agencies and Local Authoritites? To be citizen-centric, it surely has to be the latter and if so then to give full citizen choice it must include the private commissioning and provision of services? On Tom Loosemore's quote then surely the "processes and technologies of the Internet-era" is to about adopting the same design as eBay and Uber, not keep on trying to add value to legacy software designed for a bygone computing era. How would this look for public services, I hear you ask. Well , for the basic healthcare episode it would REPLACE thousands of applications in GP surgeries, pharmacies and hospitals with a single application to support the end-to-end process designed around the patient. For taxes and benefits it would REPLACE the tens of thousands of payroll systems plus the HMRC systems, DWP systems and Local Authority taxes and benefits systems with a remuneration algorithm. The Internet-era supports application software for COMMUNITIES not just organisations. That is the way forward for whole of government solutions, anything else is just carrying on down the diminishing returns trail currently being pursued. More than happy to discuss. I am currently in discussion with JAnet Hghes on this topic and will copy you in on my next correspondence. I read this blog post with interest. I specifically want to comment on "set and enforce standards - everything will be built to the same high standards, set and enforced by GDS. Without standards, digital transformation would be a mess of conflicting ideas and approaches. Without standards, it would all fall apart." I applaud it and all that GDS have worked so hard to achieve in recent years. By coincidence I recently came across the HMRC App (https://itunes.apple.com/gb/app/hmrc/id514561561?mt=8). I've tried it. I wasn't impressed. I can't see that it meets any genuine user need that HMRC's digital services aren't also trying to meet. I'd go as far as to say it actually duplicates them. And it seems to be a contradiction of a GDS blog post written by Tom Loosemore in 2013 about the GDS approach to apps (see https://gds.blog.gov.uk/2013/03/12/were-not-appy-not-appy-at-all/). It is that App that has prompted me to leave this comment. Public money has been spent on what is to me a pointless product. No doubt more is being spent to support and maintain it. Why? Perhaps that's a question for HMRC. But if GDS *are* going to be the enforcers of standards, it's not unreasonable to wonder what GDS involvement is/was with the App, and how that fits with the intentions about what GDS is for. Where are the standards you write about, the ability to stop things that shouldn't be developed? Were GDS involved in any way - either in design, development or approval? I suppose what I'm really driving at is this: Does GDS have sufficient influence and authority to stop Gov't Departments perusing their own agenda? Looking at that App it seems not, despite all of your good intentions. If a Dep't chooses to 'go it alone' what can you realistically do to stop them? I found the two sessions that I attended really useful and hopefully identified some possible areas for collaboration and I look forward to receiving the contact names so that we can take this forward. A good event with valuable exhibitors, whose stands were staffed with unusually informed, motivated and helpful people! I found much food for thought and some potentially useful answers. I very much enjoyed your talk and also the enthusiasm shown by the presenters on your GDS Hub Presentations. One question that struck me was this notion of Government as a Platform . As mention in the later panel the move towards a Fourth Economy and the Platform economy thinking in the Platform Revolution Geoffrey Parker, suggests that Government as a Platform could be a essential infrastructure for the competiveness of the Nation alongside Broadband. So your notion of "services that shape government, not the other way round" could be evolved to be services that make the economy more competitive. Some years ago Singapore invested in customs clearance capabilities so that good could be cleared and dispatch within an hour. Maybe this kind of thinking might help the economic challenges we face?